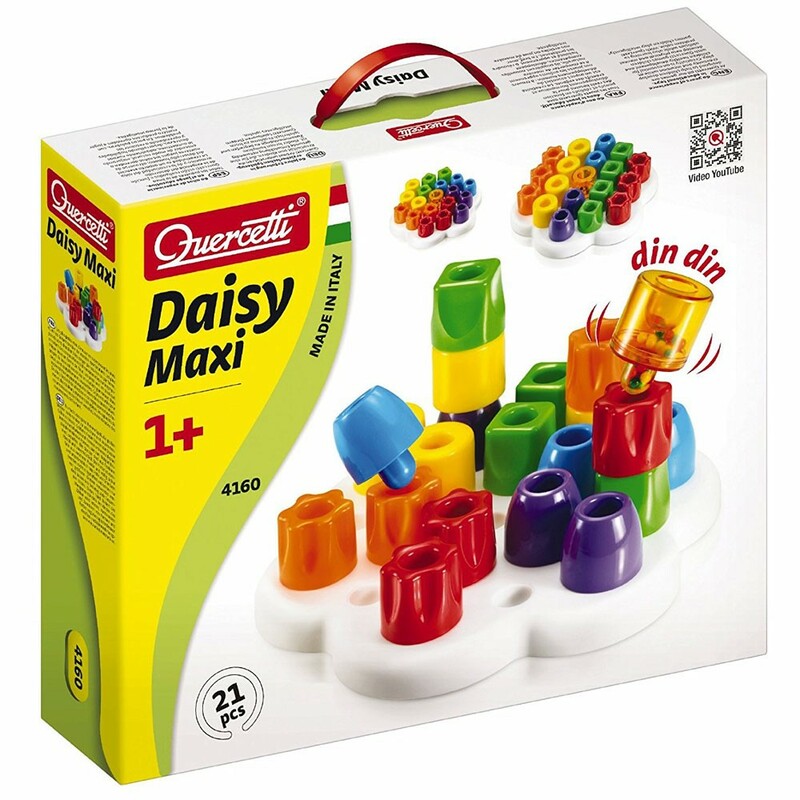 This Quercetti Daisy first building set features 20 chunky pegs for easy stacking with the little hands. 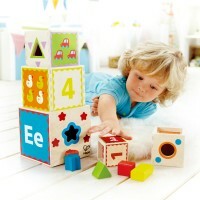 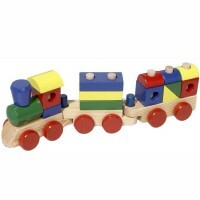 Teach your baby or toddler colors and shapes, and practice motor skills building colorful towers. 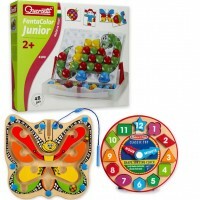 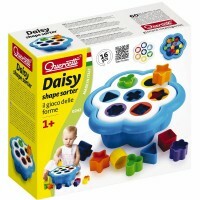 Quercetti Daisy Maxi Stacking Peg Set is a terrific toddler construction toy by the famous Italian toy maker. 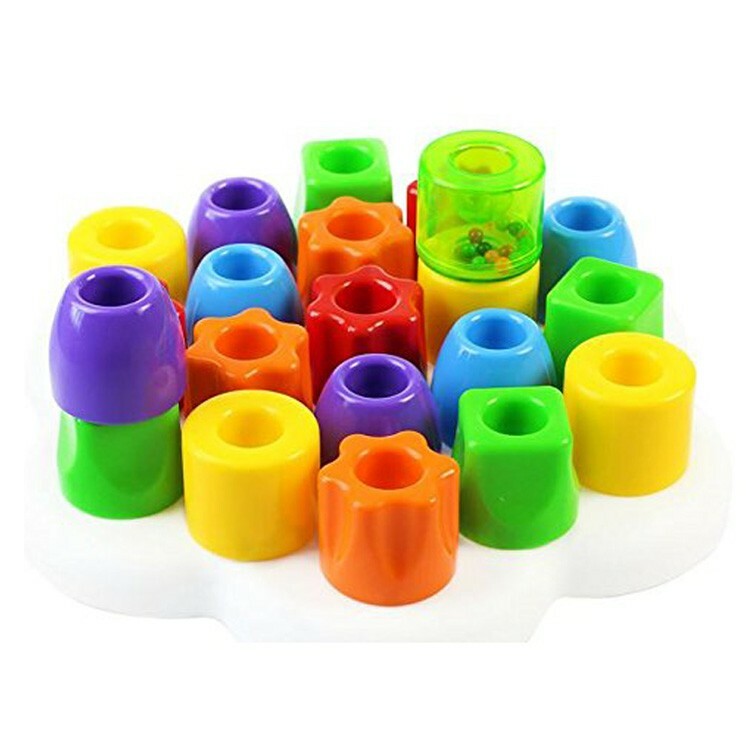 Special high quality safe material, PVC-free, is used by Quercetti to make soft durable pegs for this toddler stacking set. 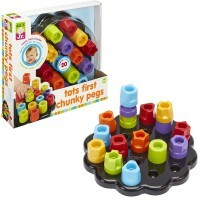 Every peg from this first building set has a hole for easy stacking with the little hands. 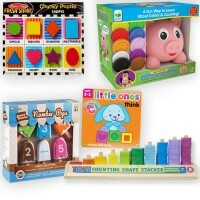 Your toddler can try sorting and stacking by colors, by shapes, or possibly by numbers of pegs. 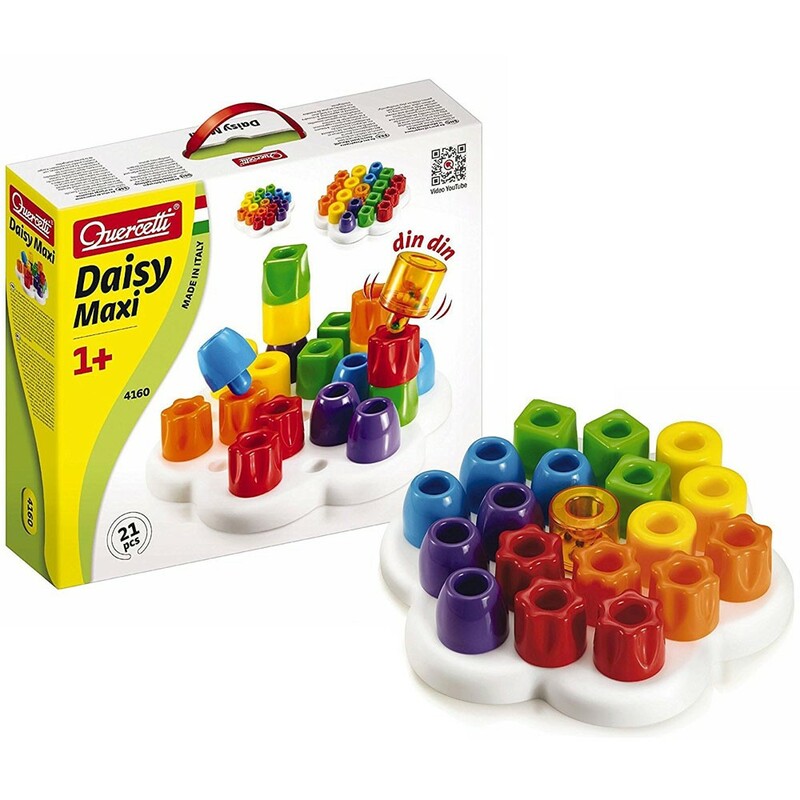 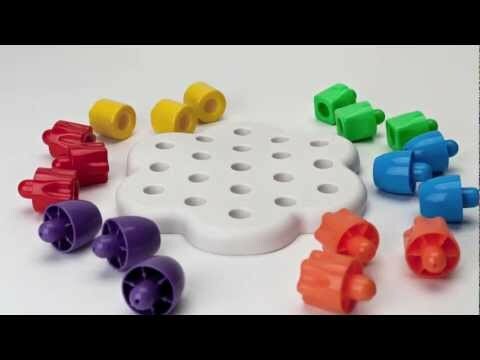 The Quercetti Daisy Maxi Stacking Peg Set from Educational Toys Planet includes a large pegged base and 20 soft large colorful pegs. 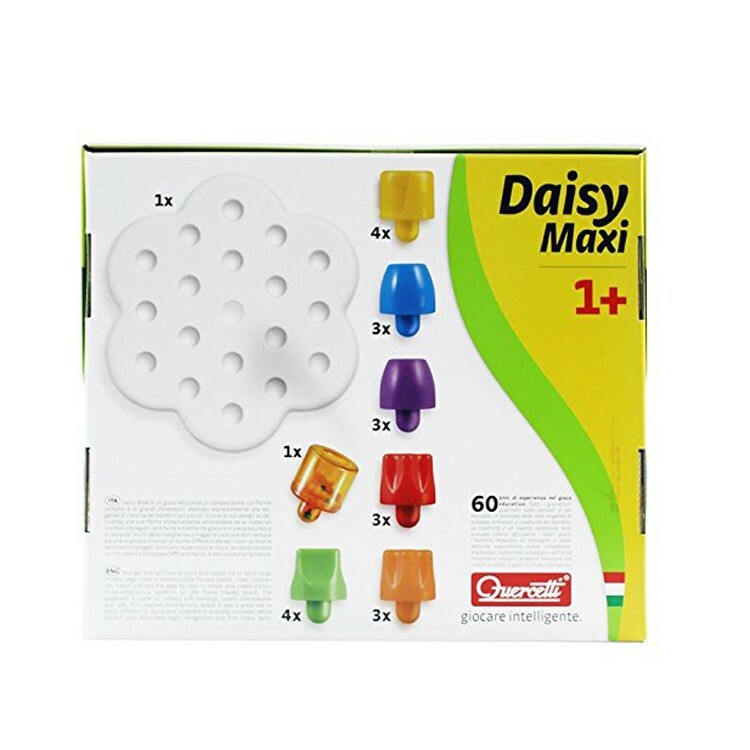 Dimensions of package 3" x 13.25" x 11.25"
Write your own review of Quercetti Daisy Maxi Stacking Peg Set. 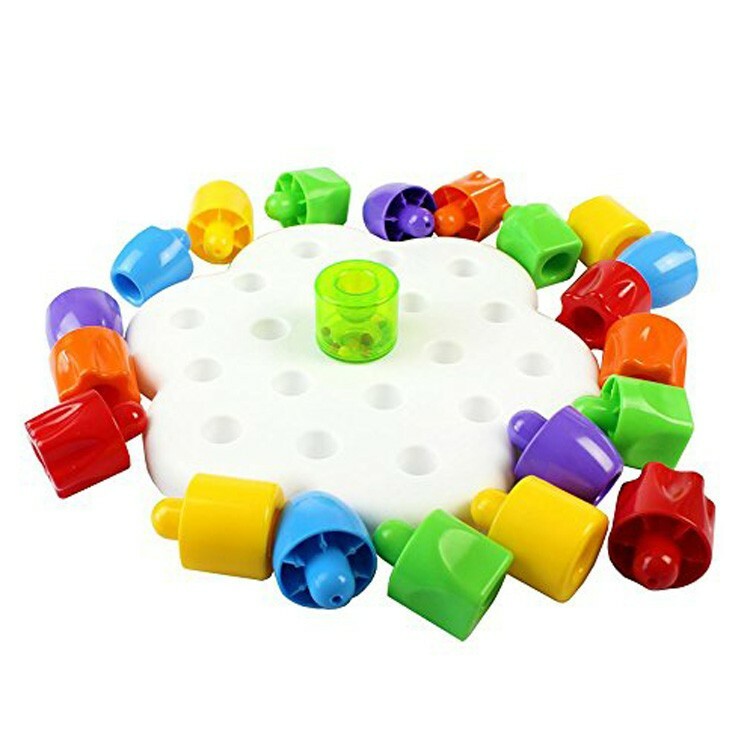 Rating: 5 by Beth, CA Excellent motor development toy for children.Thank you. 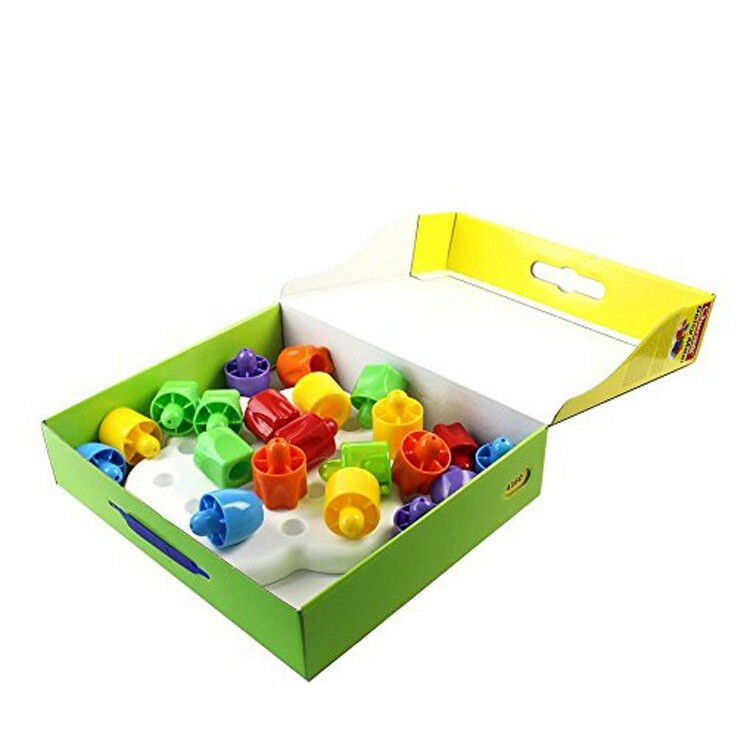 Rating: 5 by Chris My grandson has Down Syndrome and he is doing things most 9 month old DS children do not yet do. 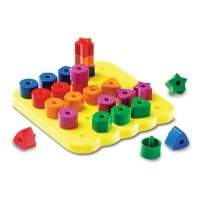 This peg board has helped him learn to place things in a specific place. 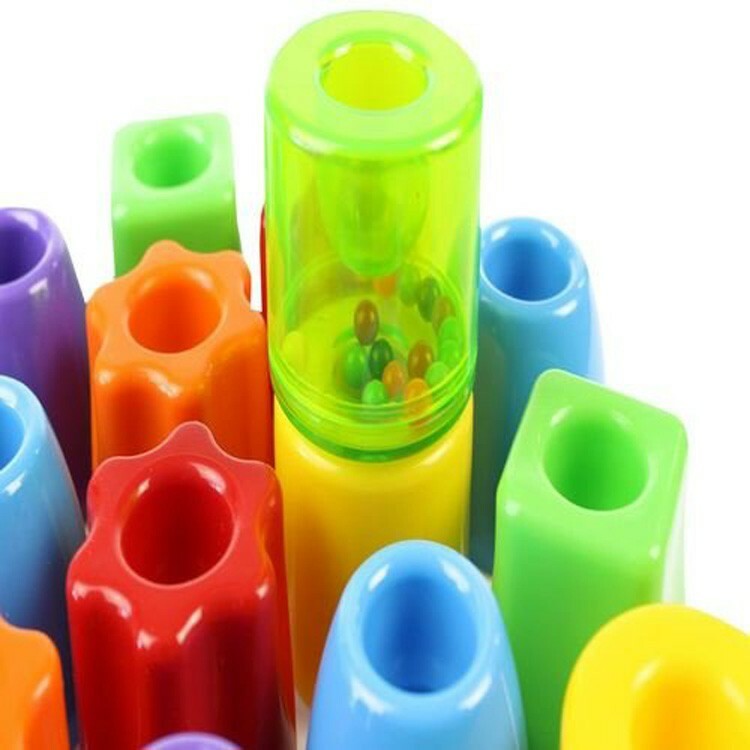 He has been able to accomplish the tasks that the therapists want him to accomplish. 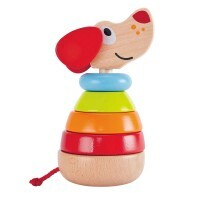 Our family is very blessed to have such a wonderful little boy. 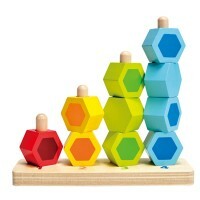 Rating: 5 by marian, nj Well made. 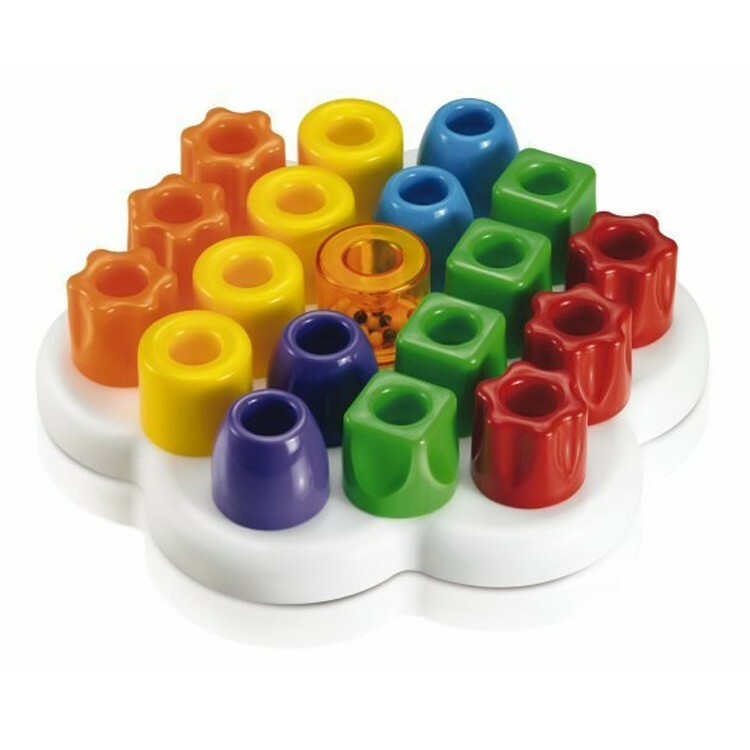 Great for color matching, fine motor skills, creative thinking.